I was looking for a healthy snack that was easy to make and had plenty of healthy fats in it and I came across this one on the Quirky Cooking blog. The original recipe was created by Fouad Kassab and I have made a couple of changes but they still taste great. I have these in my fridge all of the time now and when I am looking for a quick snack I grab a couple of them to keep me satisfied until my next meal. 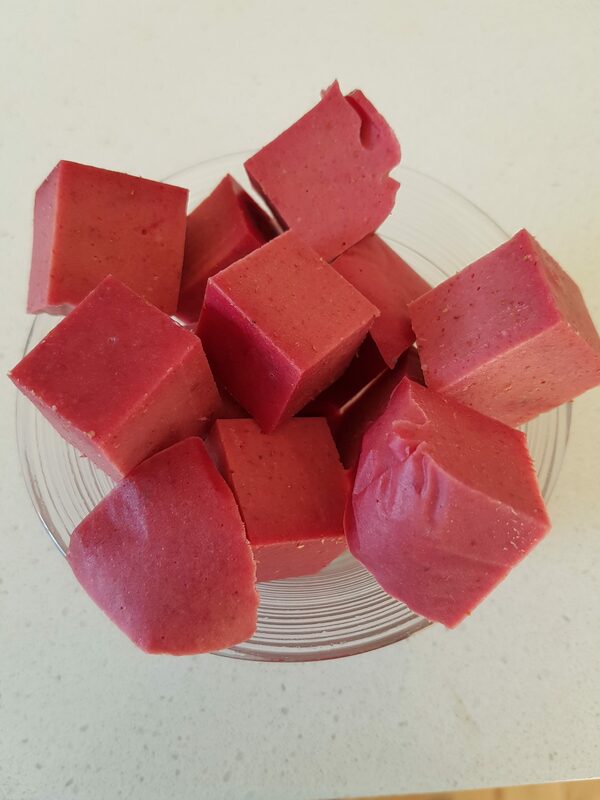 The colour of these fat bombs comes from beetroot and they are full of almonds and other healthy fats. The best thing is that you can’t taste the beetroot or the almonds, even my kids eat these and they don’t know how healthy they are for them (don’t tell them or they will stop eating them). Have a try and see if you like them. PS I use a thermomix to make these but I am sure you can use any food processor and stove top. *This post contains affiliate links to products I love and personally use. If you choose to purchase the products through my link, it doesn’t cost you extra to do so but I will be paid a small commission.